In the early morning hours of October 6, 2018, Dewey passed away just days shy of 4 months from losing his beloved wife, Shirley. Dewey was a man who set his own pace in accomplishing tasks, so it makes sense that the delay for this tribute follows suit to his style. Dewey was born in Spokane, WA on August 18, 1931 to Phyllis (Weeks ) Almas and Dewey O. Almas. Dewey was the grandson of Albert L. Weeks, the Fire chief that motorized the Spokane Fire Department in the early 1900’s. Dewey grew up as an only child until his parents took in his three young cousins. When Dewey was a young boy he was stricken with rheumatic fever, to which many thought would shorten his life. Due to this illness, he was not able to enter the military as many of his boyhood friends would do. However, his love for the outdoors led him on another journey. 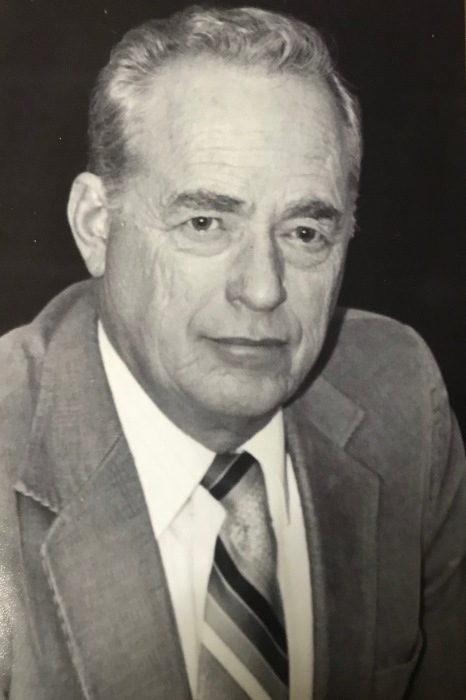 After attending Eastern WA College and graduating from the University of Idaho in 1955, he would go on to participate for 56 years in the Society of American Foresters. The majority of his career was spent working for the State of Idaho in the Idaho State Forestry Department of Lands. He retired in 1986 and then for the next ten years continued to work part-time on State of Idaho Forest Practices Act, Industry Studies and Consultant to Non-Industrial Forest owners all over North Idaho. Dewey’s love for the outdoors also carried into his personal life. He owned and managed a 40 acre ranch and tree farm, raising cows and horses, cut and sold fire wood and fought weeds on the Rimrock in Hayden, ID. In 2003 he and Shirley sold the ranch and moved closer to town. They acquired a smaller 2.85 acre lot where they would live their final days. The horses, cats and dogs of course would follow. Dewey had a way with animals. Dewey was quick witted and smart. His friends would say he was google before google was invented. He loved to recap memories and stories, and could with intense detail. A lot of time was spent sharing at his favorite local hangout, Sargent’s Restaurant. Dewey was quite an avid artist and had much of his work framed but tended to keep them to himself. He also loved muzzle loading and was known to accompany a group and serve as the host camp cook. He enjoyed trail rides on his horse and long distance trips on his motorcycle. Dewey was an amazing man. His incredible sense of humor and charm touched everyone’s heart with whom he came in contact with. He was a kindhearted gentleman and a cowboy whose legacy will live on in our memories forever. He was one of a kind and is dearly missed. Dewey was preceded in death by his wife Shirley and parents Dewey O. and Phyllis Almas and several cousins. He is survived by his two daughters, Raelynn (Chris) Good of Vancouver, WA and Trisha Anderson of Hayden, ID. Grandchildren, Tyler Anderson, Tia DuVall, DeAnne (Daniel) Stone, Christina Good and Megan Weaver. And great-grandchildren Emma, Colton, LiLee, Lucas, Sawyer, Nathan, Isaiah and Jackson. And cousins, Gayle (Jim) Betzing of Folsom, CA and Kathy (Kenny) Brummet, Boise, ID. And many close friends.